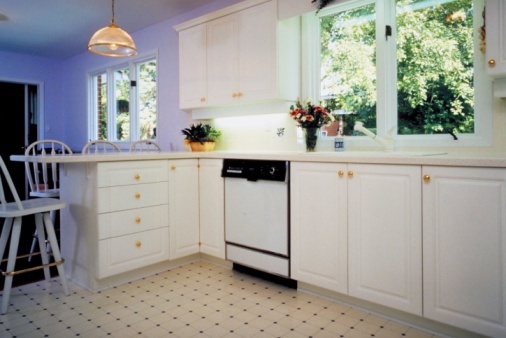 Furniture polish is often used to add shine to tile floors. But those shiny tiles can be slippery. And, if incorrectly applied, the furniture polish residue can actually attract dirt. Luckily, furniture polish is easy to remove from tile floors. All you need is a little bit of warm water and vinegar. Vinegar is a natural degreaser and quickly cuts through oil-based furniture polish. A little cream of tartar added to the solution will help it cut through thick buildup. 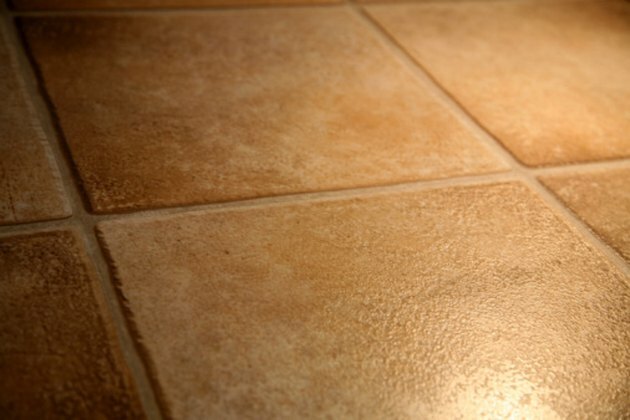 Furniture polish makes tile shiny but slippery. Wipe up the bulk of the furniture polish with a towel if the spill is fresh. Fill a bucket with 1 gallon of white vinegar and 1 cup of cream of tartar. Mix the solution well until all of the cream of tartar is dissolved. Dip the scrub brush in the solution. Scrub a small section of the floor in a circular motion. Re-wet the brush as necessary. 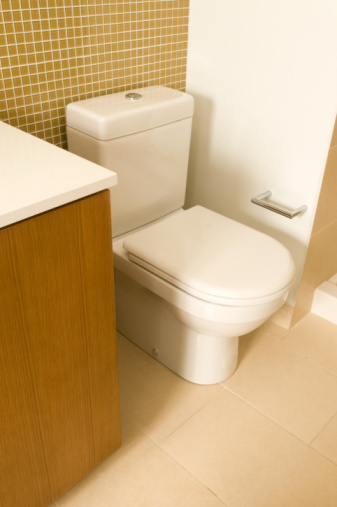 Wipe up the scrubbed area with a clean towel that has been wet with hot water and thoroughly wrung out. Re-scrub the area if necessary. Repeat Steps 4 through 7 until the entire floor has been scrubbed and wiped clean.